Corrugated Films: Distribution Good News! Un Poquito de Tanta Verdad won grand prize at two festivals in the month of March: Miradas en el Movimiento, in Oaxaca, and the International Documentary Festival "Santiago Alvarez en Memoriam," in Santiago Cuba. 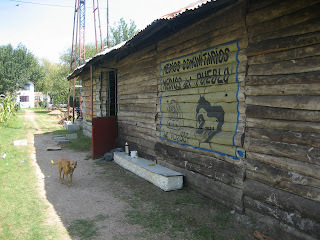 Just returned from a small screening tour in Argentina and Uruguay. There were three screenings in Buenos Aires, one in Rosario, and one in Montevideo, Uruguay. 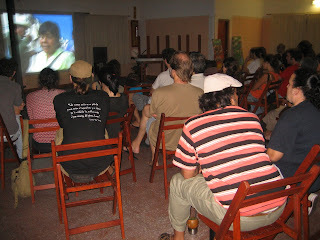 The highlight was defenitely the screening in Montevideo which was organized by TV2 and LA Voz FM: a community television and radio station that forms part of a housing cooperative on the outskirts of the city. The discussion afterwards went on for over an hour and focused almost entirely on the importance of community participation in community media. While in Buenos Aires, I stayed at the famous Hotel Bauen, a hotel that was reclaimed by the workers, in 2001, and converted into a worker cooperative hotel. Thanks to the good folks at Grupo Alavio, a video collective housed at the Hotel Bauen, for that hook up. 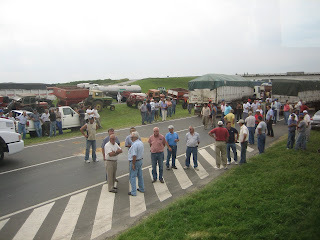 A visit to Argentina wouldn't have been complete without being held up in a roadblock. There was an argricultural workers strike going on. They carried out extensive road blocks across the country. 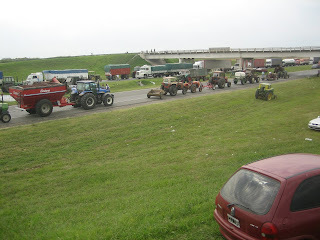 Our trip from Rosario to Buenos Aires was held up for over 6 hours by one of these roadblocks, complete with tractors, burning tires, and choripan.